São Tomé and Príncipe ( /ˌsaʊ təˈmeɪ ən ˈprɪnsᵻpə,_ʔˈprɪnsᵻpeɪ/ SOW-_-tə-MAY-_; Portuguese: [sɐ̃w tuˈmɛ i ˈpɾĩsɨpɨ]), officially the Democratic Republic of São Tomé and Príncipe, is a Portuguese-speaking island nation in the Gulf of Guinea, off the western equatorial coast of Central Africa. 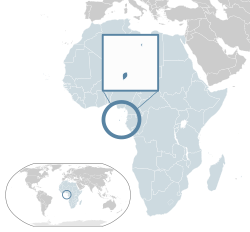 It consists of two archipelagos around the two main islands: São Tomé and Príncipe, located about 140 kilometres (87 miles) apart and about 250 and 225 kilometres (155 and 140 miles), respectively, off the northwestern coast of Gabon. With a population of 192,993 (2013 Census), São Tomé and Príncipe is the second-smallest African country after Seychelles, as well as the smallest Portuguese-speaking country. Its people are predominantly of African and mestiço descent, with most practising Roman Catholicism. The legacy of Portuguese rule is also visible in the country's culture, customs, and music, which fuse European and African influences. The islands of São Tomé and Príncipe were uninhabited when the Portuguese arrived sometime around 1470. The islands were discovered by João de Santarém and Pêro Escobar. Portuguese navigators explored the islands and decided that they would be good locations for bases to trade with the mainland. The dates of discovery are sometimes given as 21 December (St Thomas's Day), 1471 for São Tomé, and 17 January (St Anthony's Day), 1472 for Príncipe, though other sources give different nearby years. Príncipe was initially named Santo Antão ("Saint Anthony"), changing its name in 1502 to Ilha do Príncipe ("Prince's Island"), in reference to the Prince of Portugal to whom duties on the island's sugar crop were paid. However, competition from sugar-producing colonies in the Western Hemisphere began to hurt the islands. The large enslaved population also proved difficult to oppress, with Portugal unable to invest many resources in the effort. Sugar cultivation thus declined over the next 100 years, and by the mid-17th century, the economy of São Tomé had changed. It was now primarily a transit point for ships engaged in the slave trade between the West and continental Africa. The cathedral of São Tomé. The new Portuguese regime was committed to the dissolution of its overseas colonies – in November 1974, their representatives met with the MLSTP in Algiers and worked out an agreement for the transfer of sovereignty. After a period of transitional government, São Tomé and Príncipe achieved independence on 12 July 1975, choosing as the first president the MLSTP Secretary General Manuel Pinto da Costa. Former President Manuel Pinto da Costa in 1986. São Tomé has functioned under a multiparty system since 1990. With regards to human rights in São Tomé, there are freedom of speech and the freedom to form opposition political parties. São Tomé and Príncipe has embassies in Angola, Gabon, Portugal, Belgium and the USA. It also has a permanent mission to the UN in New York City and an International Diplomatic Correspondent Office. São Tomé and Príncipe is divided into 2 provinces: Príncipe and São Tomé. The provinces are further divided into seven districts, six on São Tomé and one on Príncipe (with Príncipe having self-government since 29 April 1995). A map of São Tomé and Príncipe. Beach scenery in São Tomé and Príncipe. São Tomé is 50 km (30 mi) long and 30 km (20 mi) wide and the more mountainous of the two islands. Its peaks reach 2,024 m (6,640 ft) – Pico de São Tomé. Príncipe is about 30 km (20 mi) long and 6 km (4 mi) wide. Its peaks reach 948 m (3,110 ft) – Pico de Príncipe. Swift streams radiating down the mountains through lush forest and cropland to the sea cross both islands. The equator lies immediately south of São Tomé Island, passing through an islet Ilhéu das Rolas. The Pico Cão Grande (Great Dog Peak) is a landmark volcanic plug peak, located at 0°7′0″N 6°34′00″E﻿ / ﻿0.116667, 6.5666667 in southern São Tomé. It rises over 300 m (1,000 ft) above the surrounding terrain and the summit is 663 m (2,175 ft) above sea level. A market place located in the city of São Tomé. A proportional representation of São Tomé's exports. In the 1980s and 1990s, the economy of São Tomé encountered major difficulties. Economic growth stagnated, and cocoa exports dropped in both value and volume, creating large balance-of-payments deficits. Efforts to redistribute plantation land resulted in decreased cocoa production. At the same time, the international price of cocoa slumped. São Tomé also hosts a broadcasting station of the American International Broadcasting Bureau (IBB) for the Voice of America located at Pinheira. São Tomé and Príncipe's population in thousands between 1961 and 2003. All are descended from people from different countries taken to the islands by the Portuguese from 1470 onwards. In the 1970s, there were two significant population movements—the exodus of most of the 4,000 Portuguese residents and the influx of several hundred São Tomé refugees from Angola. The majority residents belongs to the local branch of the Roman Catholic Church, which in turn retains close ties with the church in Portugal. There are also sizeable Protestant minorities of Seventh-day Adventists and other Evangelical Protestants. There is a small but growing Muslim population. Age-standardized Disability-adjusted life year for iron-deficiency anemia in 2004. Countries highlighted in red are stricken with large amounts of iron-deficiency anemia, while countries highlighted in yellow have lower concentrations of this disease within their populations. São Tomé and Príncipe (located to the left of Equatorial Guinea and Gabon, Africa) has more than 1250 life years lost to iron-deficiency anemia, per 100,000 inhabitants. There was a resurgence of malaria in the country in 2010, but the exact cause is unknown. Female life expectancy at birth was 65.1 years in between 2005 and 2010, and male life expectancy at 62.8 for the same time period. Healthy life expectancy at birth was at 64.7 years in 2011. A Cuban medical team of seven doctors, nurses and other health workers is working on the main island, with occasional visits to Principe. Government health expenditure per capita was at US$90.73 (current US$) in 2009. According to WHO, São Tomé and Príncipe is also home to the largest documented amount of iron-deficiency anemia amongst any country's population. Education in São Tomé and Príncipe is compulsory for four years. Primary school enrollment and attendance rates were unavailable for São Tomé and Principe as of 2001. ^ "Nationality". The World Factbook. https://www.cia.gov/library/publications/the-world-factbook/fields/2110.html#tp. Retrieved July 17, 2012. ^ Octávio Amorim Neto; Marina Costa Lobo (2010). "Between Constitutional Diffusion and Local Politics: Semi-Presidentialism in Portuguese-Speaking Countries". Social Science Research Network. ^ "The World Factbook – Field Listing – Population – CIA". Central Intelligence Agency. https://www.cia.gov/library/publications/the-world-factbook/fields/2119.html. Retrieved 2015-03-07. ^ a b c d "São Tomé and Príncipe". International Monetary Fund. http://www.imf.org/external/pubs/ft/weo/2017/01/weodata/weorept.aspx?pr.x=23&pr.y=3&sy=2017&ey=2021&scsm=1&ssd=1&sort=country&ds=.&br=1&c=716&s=NGDPD%2CNGDPDPC%2CPPPGDP%2CPPPPC%2CLP&grp=0&a=. Retrieved 2013-04-17. ^ "GINI index". World Bank. http://data.worldbank.org/indicator/SI.POV.GINI?order=wbapi_data_value_2002+wbapi_data_value+wbapi_data_value-last&sort=asc&page=2. Retrieved 26 July 2013. ^ "São Tomé – Definition of São Tomé". Yourdictionary.com. 2013-09-25. http://www.yourdictionary.com/sao-tome#americanheritage. Retrieved 2013-09-29. ^ "The Expulsion 1492 Chronicles, section XI: "The Vale of Tears", quoting Joseph Hacohen (1496–1577); also, section XVII, quoting 16th century author Samuel Usque". Aish.com. 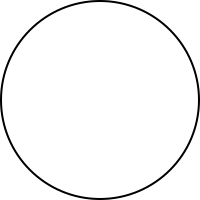 2009-08-04. http://www.aish.com/h/9av/aas/52421817.html. Retrieved 2013-09-29. ^ Ivor Wilks and Akan Wangara (January 1997). "Portuguese in the Fifteenth and Sixteenth Centuries". In Peter John Bakewell. Mines of Silver and Gold in the Americas. Aldershot: Variorum. p. 24. ISBN 978-0-86078-513-2. https://books.google.com/books?id=oBhmQgAACAAJ. ^ a b Mary E. Lassanyi; Wayne Olson (1 July 1997). 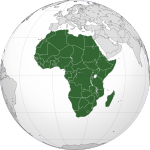 Agricultural Marketing Directory for U.S. & Africa Trade. DIANE Publishing. p. 206. ISBN 978-0-7881-4479-0. https://books.google.com/books?id=ep5oOZ8m0PoC&pg=PA206. ^ Phuong Tran (1 February 2007). "São Tomé & Príncipe Still Waiting for Oil Boom". VOA News (Voice of America). http://www.voanews.com/a/a-13-2007-02-01-voa30-66537932/554071.html. Retrieved 25 December 2008. ^ "Cape Verde supports population census in Sao Tome and Principe". Inforpress. 6 April 2011. http://www.macauhub.com.mo/en/2011/04/06/cape-verde-supports-population-census-in-sao-tome-and-principe/. ^ World Malaria Report 2010. 2010. pp. 42, 111–113. http://www.who.int/entity/malaria/world_malaria_report_2010/worldmalariareport2010.pdf. Retrieved March 25, 2012. ^ "World Population Prospects: The 2010 Revision". http://esa.un.org/unpd/wpp/unpp/panel_indicators.htm. Retrieved March 25, 2012. ^ "World Development Indicators and Global Development Finance – Google Public Data Explorer". https://www.google.com/publicdata/explore?ds=d5bncppjof8f9_&ctype=l&met_y=sh_xpd_pcap#!ctype=l&strail=false&bcs=d&nselm=h&met_y=sh_xpd_pcap&scale_y=lin&ind_y=false&rdim=region&idim=country:STP&ifdim=region&tdim=true&hl=en_US&dl=en_US. Retrieved March 25, 2012. ^ a b c The Recipes of Africa. Dyfed Lloyd Evans. pp. 174–176. https://books.google.com/books?id=FJxlWwrVcKcC&pg=PA174. ^ a b Kathleen Becker (23 July 2008). Sao Tome and Principe. Bradt Travel Guides. pp. 74–79. ISBN 978-1-84162-216-3. https://books.google.com/books?id=e59TqbPNAB0C&pg=PA74. This page uses content from the English language Wikipedia. The original content was at São Tomé and Príncipe. The list of authors can be seen in the page history. As with this Familypedia wiki, the content of Wikipedia is available under the Creative Commons License.